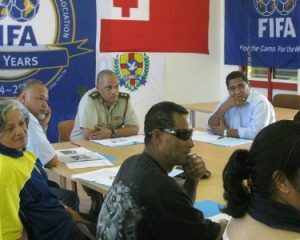 TongaFootball > News > Executive Committee > Football is now back on track in Éua! The newly elected Eua Football committee are now prepared to roll the ball in their Island, with ten football clubs inline to kick off! Eua Football Committee with the TFA Technical Director, Kilifi Uele in Óhonua, Éua. Football was played in this island in the last fifteen years, and suddenly they dropped out. 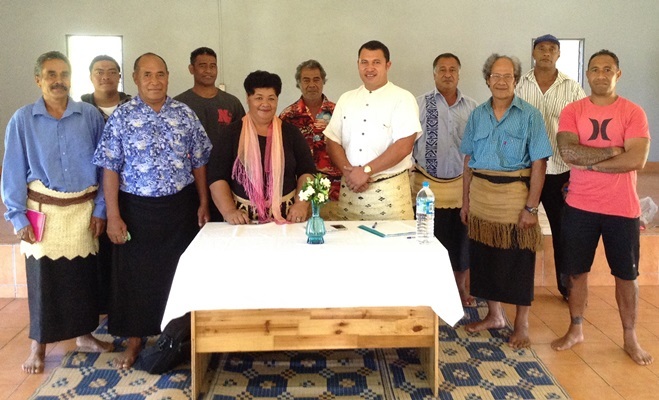 So part of the Tonga Football development plan is to drive and develop football to reach out all over Tonga. Early this week, the Tonga Football Technical Director, Kilifi Uele and Lui Muavesi, the Just Play Co-ordinator visited Éua for three days (3) to meet up with district and town officers to revive football in the capital of Éua, Óhonua.Eua Football Committee with the TFA Technical Director, Kilifi Uele in Óhonua, Éua. The last day of their visit, they met with coaches and he provided Tonga Football Association’s development plan especially the coaches and players path way. So Uele is now prepared for his next coaching training and he already identified talented players in the island that shall be in the coaching. However, ‘ Eua football committee members are now working in hands to search for fields for their tournaments and competitions. Tonga Football is now organising with the Head of Referee, Tevita Vea to run a referee course for the people of Éua followed their MA Referee’s Course which is just recently start this morning. Football is now in Vavaú, Haápai, Éua and yet to the Niuas. Next PostTo lift the standard of Referee in Oceania!